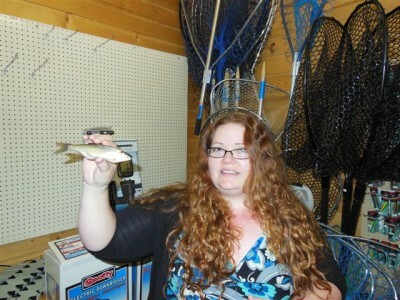 Katherine Geldof recently caught a red-sided shiner in Polson Bay that ended up making the record books! Geldof set the new Montana state record with a maggot on a Zimmer Tackle bait set up. The fish is 7 inches and 13 hundredths of a pound. The world record to date is currently 10 inches.